Your favorite inmates are back! 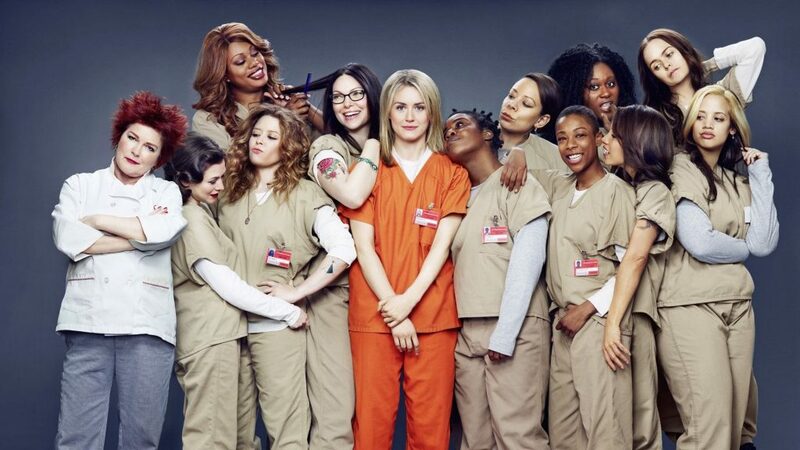 Orange Is The New Black returns for its 6th season today on Netflix. And it has been renewed for Season 7 (yay). Netflix purposely released the new season today so that fans can spend their whole weekend binge-watching the show. I don’t know if they can top the last season, but I sure hope they do. Like the other seasons, there are 13 episodes which means many hours of streaming ahead. Season 5 was the three-day riot and now Season 6 shows the consequences of it. From looking at the trailers and spoilers, Season 6 will include a lot of changes and of course, drama. Litchfield’s inmates will be separated and moved to different prisons (this worries me) in the wake of the riot. But how can we be surprised after the destruction they caused. With this change, a lot of characters won’t be seen or will have short appearances. Big Boo and Skinhead Helen will only have short cameos at a prison in Cleveland, Ohio. So fans of Big Boo will not be happy this season. Uzo Aduba’s character Suzanne “Crazy Eyes” seems to have a strong presence in the season. Considering Aduba has won Emmy Awards for Best Supporting Actress on OITNB, I am happy about this. The death of Poussey Washington in Season 4 rocked the world of Orange Is The New Black fans. This was one of the most unexpected exits of a character on the show so far. Considering her character was such a fan favorite, it’s no surprise that this lead to the massive prison riot among the inmates. Lasting about three days and killing some prison guards, this riot was disastrous. After Officer Piscatella’s death, there will definitely be consequences and background checks being done. The season finale left the audience with a cliffhanger, as this show loves to do. The final scene showed the main characters, Piper, Alex, and Nicky hiding in Frieda’s bunker just as it was being broken into by CERT officers. The other inmates were being loaded onto buses, a crazy way to end the episode. With so many fans invested in the characters, emotions will be running high as their characters face new destinies. I sense a binge-watching marathon coming! For more entertainment related posts check out The Grapevine Gossip.